Quick Dish LA: Tonight at Little Joy THE BUSINESS with Daly! Klenk! Weinbach! & More! 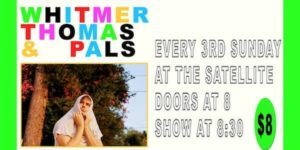 Quick Dish LA: THE BUSINESS LA 1.21 at Little Joy with Treyger! Sanni! Willmann! & More! Quick Dish LA: THE BUSINESS LA Tonight at Little Joy with THE LUCAS BROS & More! Quick Dish LA: THE BUSINESS LA Tonight at Little Joy ft. Squirm! Wardell! Zigrino! Yang! & More!